The first official photographs of the Jean Nouvel-designed Louvre Abu Dhabi have been released, ahead of the museum's public opening this weekend. A dome spans 180 metres over the huge new art museum, which officially opens to the public on 11 November 2017. As the first outpost of the Musée du Louvre outside France, Louvre Abu Dhabi stands on the waterfront of Abu Dhabi's Saadiyat Island, a man-made island on the coast of the United Arab Emirates capital. The building forms part of the Saadiyat Cultural District, where it will be joined by the Foster + Partner-designed Zayed National Museum and a new Guggenheim designed by Frank Gehry, although work has yet to begin on that. Almost 8,000 metal stars overlap to form the geometric pattern of the dome. 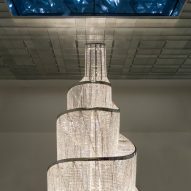 It filters sunlight to create is described as "a rain of light", throwing flecks of illumination on the white blocks and promenades that forms the building's interior. "It is a project founded on a major symbol of Arab architecture: the dome. But here, with its evident shift from tradition, the dome is a modern proposal," said French architect Jean Nouvel. "A double dome 180 metres in diameter, offering horizontal, perfectly radiating geometry, a randomly perforated woven material, providing shade punctuated by bursts of sun," he explained. "The dome gleams in the Abu Dhabi sunshine. At night, this protected landscape is an oasis of light under a starry dome." The semi-outdoor spaces below the dome are used to display specially commissioned installations, while the museum's permanent collection and temporary shows are housed within white cubic blocks, to create a "museum city". 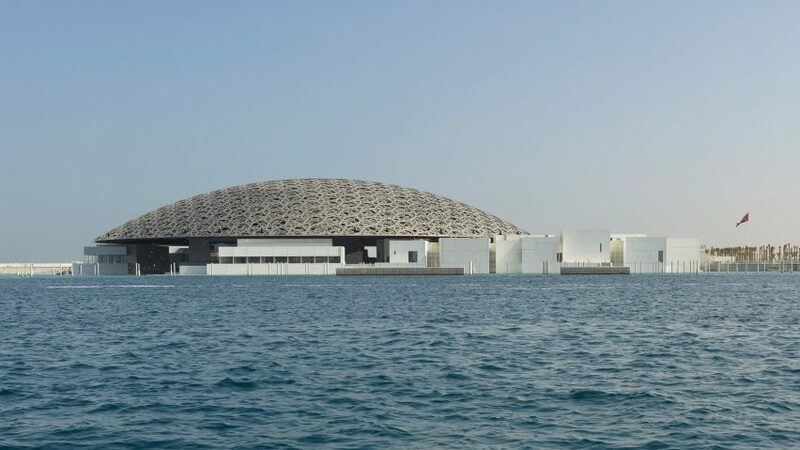 A well as 6,400 square metres of gallery space – comprising 23 galleries for the museum's permanent collection, a temporary exhibition space and the Children's Museum – the Louvre Abu Dhabi also includes a 270-seat auditorium, restaurant, shop and cafe. Plans were first unveiled for the museum back in in 2007, when an intergovernmental agreement between Abu Dhabi and France was formed. Its completion comes five years after the Musée du Louvre opened its first outpost – a gallery in French town Lens designed by Japanese studio SANAA and New York office Imrey Culbert. Building works drew to a close earlier this summer and first glimpses of the building's completed exterior have been trickling through on social media since August. 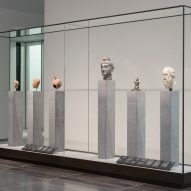 The museum's own collection of 600 artworks – ranging from pieces by Piet Mondrian, Edouard Manet and Pablo Picasso, to Cy Twombly and Ai Weiwei – will be exhibited alongside 300 pieces loaned from French cultural institutions, to present a chronological display dating from prehistory to present day. 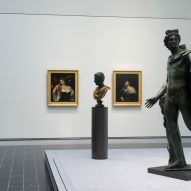 "[Louvre Abu Dhabi] has reinvented the 18th-century premise of the universal museum for a demanding contemporary audience," said the museum's director, Manuel Rabaté. "In a complex multi-narrative world, these ideas are more important than ever." 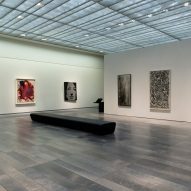 "Louvre Abu Dhabi embodies an exceptional programme in the literal sense of the word," added Nouvel. "Its vocation is now to express what is universal throughout the ages." The inaugural exhibition, From One Louvre to Another: Opening a Museum for Everyone, will open on 21 December 2017. 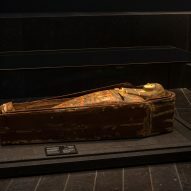 The show will explore the opening of the Musée du Louvre in Paris in the 18th century, through 150 paintings, sculptures and other artworks from the collections of Musée du Louvre and the Château de Versailles. The first show at the Children's Museum, titled Travelling Shapes and Colours, will see examples of floral and geometric ornamentation exhibited through Turkish ceramics, 18th-century decorative French vases and a 19th-century painting by German artist Paul Klee. Elsewhere in the Middle East, Nouvel is currently completing work on his National Museum of Qatar in Doha. The Pritzker Prize-winning architect's studio is also working on a residential tower by the Museum of Modern Art in New York and its first residential project in Florida, which will be raised several metres above sea level to address the growing risk of flooding in Miami Beach.